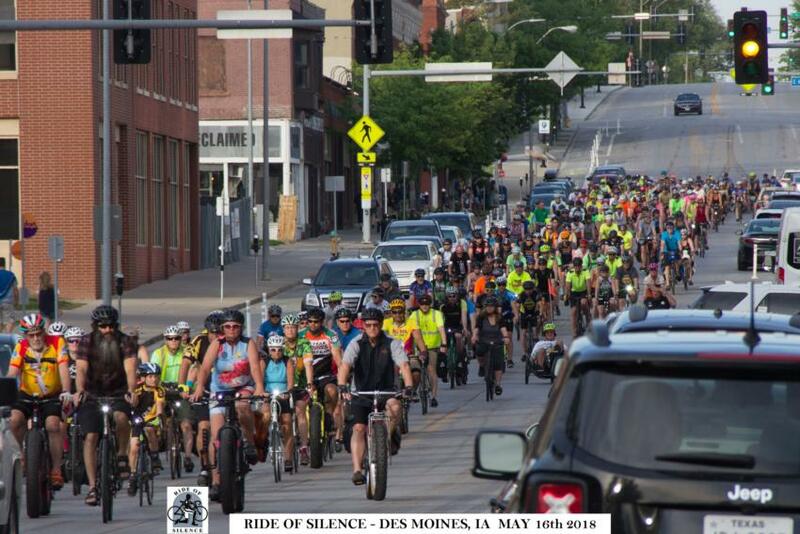 2019 marks the 15th year that we have been hosting a Ride of Silence in Des Moines. 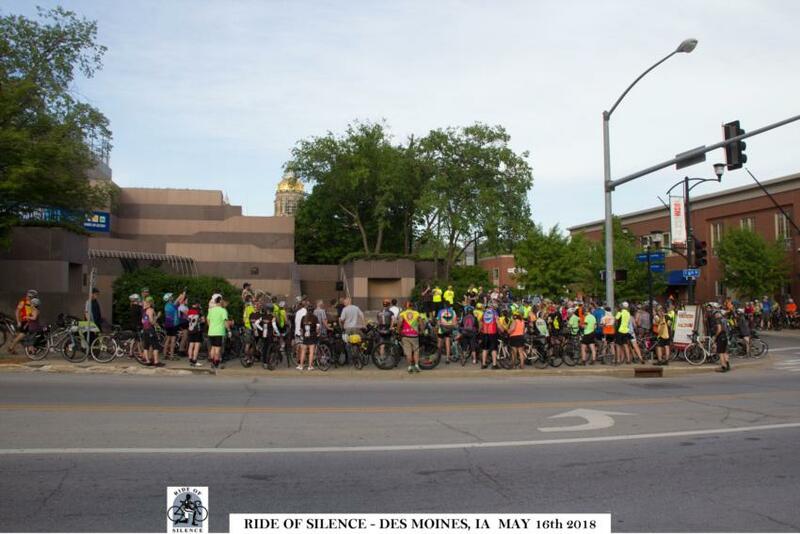 THE RIDE OF SILENCE WILL NOT BE QUIET On May 15th, the Ride of Silence will roll across the country, starting at 7:00 pm. 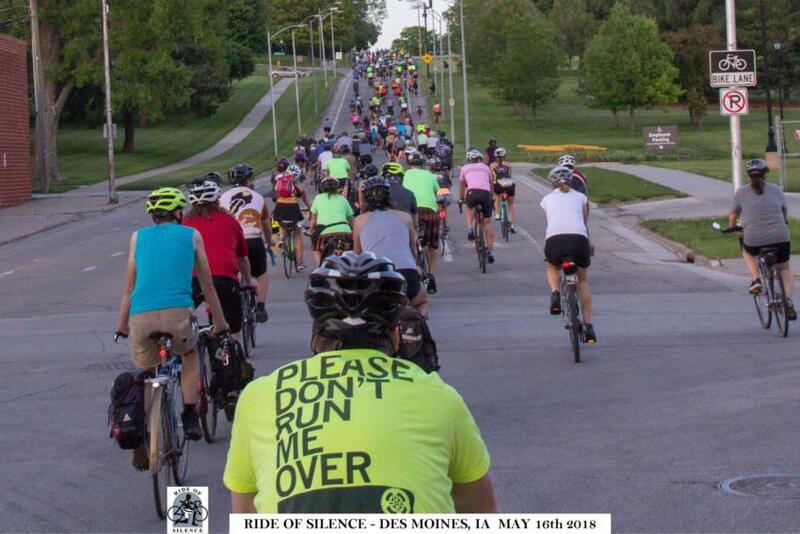 Over 370+ U.S.locations in all 50 states and 52 other countries in all 7 continents will take to the roads in a silent procession to honor cyclists who have been killed or injured while cycling on public roadways. Although cyclists have a legal right to share the road with motorists, the motoring public often isn't aware of these rights, and sometimes not aware of the cyclists themselves. 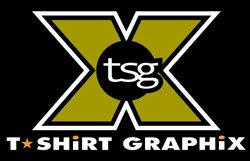 We'll ride a slow 10-12 mph or less. 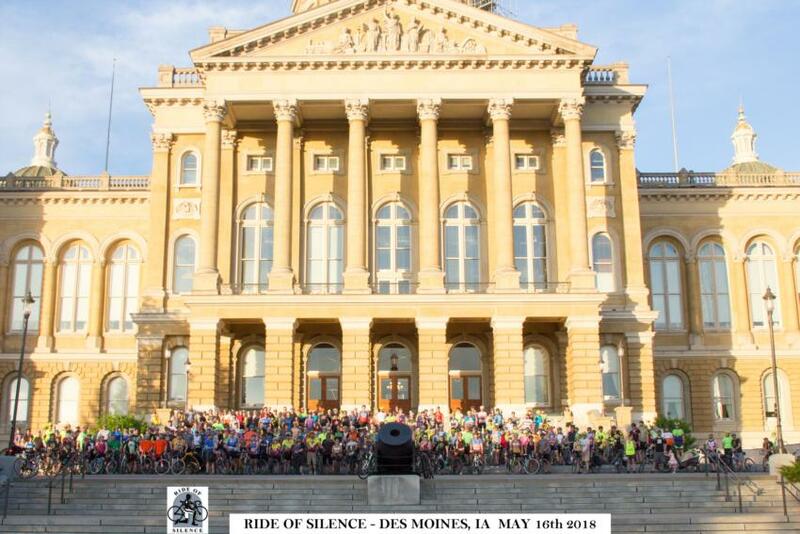 Please review BIKEIOWA.com/RideOfSilence for a list of present and past cyclists we have called out before each ride. See someone NOT on the list? 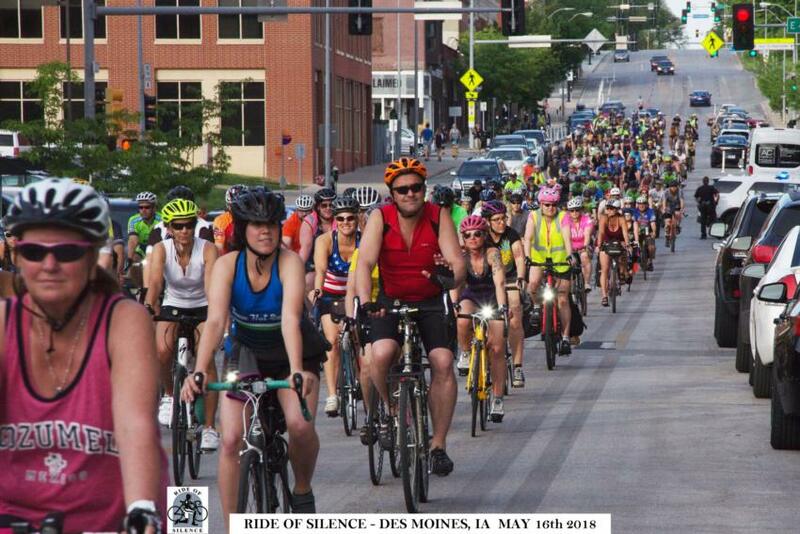 - Please email Biker@BIKEIOWA.com and we will add them to the list ASAP! note: Route is tentative and subject to change! 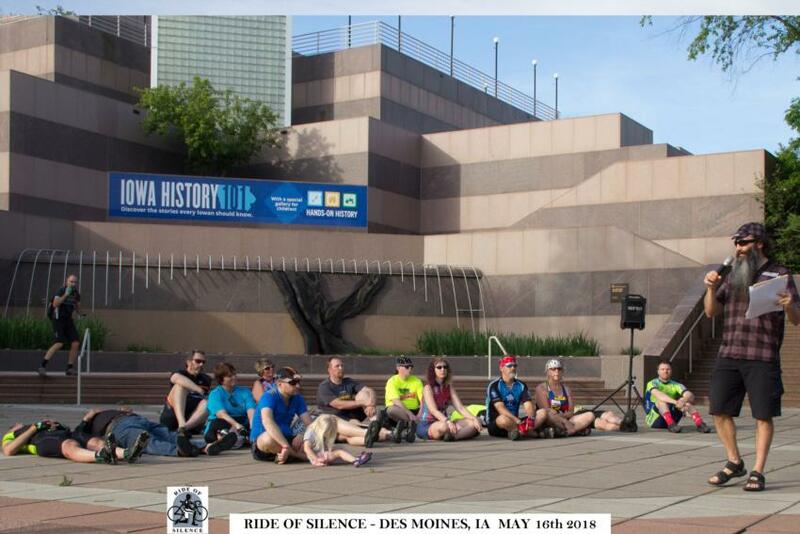 Ride goes through downtown Des Moines, through Court Ave and up around the State Capitol Complex where a group photo will be taken. The route will end at the State Capitol Complex. Just show up a bit early to hear a shout-out for those on the list this year (pay respect).